Spray Nozzles | Hart Environmental, Inc.
HEI provides unique products and services to the environmental industries, along with state-of-the-art improvements for hard to solve applications. 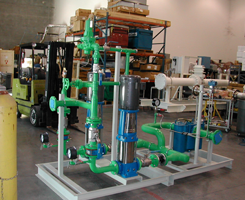 These products include Ultimix™ and AirSaver™ atomizing nozzles, SONIQUENCH® evaporative gas cooling and conditioning of hot process gases, dust suppression and dust control devices and systems, and HEI™ (High Energy Ionizer) wet electrostatic precipitators for fine particulate control. In addition to product capabilities, we provide spare parts and aftermarket components and services for many products and systems, including other brands. HEI replacement and retrofit capabilities have provided customers with more reliable components, improved performance, and savings in materials and energy costs. We can go into an existing system that is not performing as well and provide an evaluation for optimum efficiency and energy savings. HEI has newer nozzle designs we have developed. These nozzles are an improvement to an existing invention that will help with increasing the life of the nozzles, which will make the nozzle more resistant to aggressive conditions such as fugitive dust control. The nozzles are developed to be more of a durable design that has proven to increase the life usage of the nozzle. 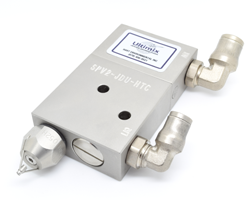 The Ultimix™ and AirSaver™ designs are essentially self-cleaning in the sense that the nozzles have larger orifices and compressible fluids, such as air or steam, push particulates out that could cause clogging in the nozzles. 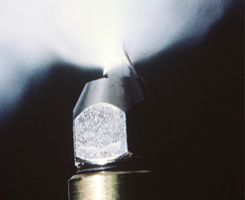 We offer the unique high flow nozzle cover to shield the nozzle from abrasive gases for prolonged life and improved protection in hot evaporative gas cooling. Another item we offer is a no-drip water valve, to improve conditions in humidification that eliminates liquid from dripping onto growing room floors or product. Wayne, the owner and President of HEI, wrote a few chapters in Air Pollution Control Equipment Selection Guide. In Chapter 20, Kenneth C. Schifftner gives Wayne credit for Wet Electrostatic Precipitators (WESP), and in Chapter 6, he gives Wayne credit for Evaporative Coolers. To read these chapters about air pollution control products, please visit Amazon to purchase the book. HEI has well over 75 years of combined experience in the areas of gas handling and air pollution control technologies. Wayne Hartshorn founded this company in 1995; he started his own company after having worked as a CEO for a previous company with a background in air pollution control. 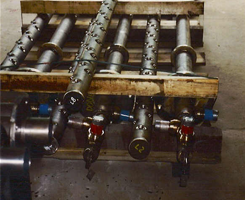 With all of our past experience, we've made improvements that we felt were much needed in this industry, including innovations to electrostatic precipitators and sprays nozzles. In 1996, his son, Brian Hartshorn joined Wayne at HEI as vice president and project manager. Today, 23 years later we are still creative and innovative to help companies with their processes more efficiently. We are constantly experiencing other applications for our products, specifically the spray nozzles. We continue to further the development and design of our outstanding nozzles for specific applications. We have especially designed more robust nozzles that are subjected to aggressive conditions in gas and chemicals that need to be able to operate for longer periods of time. We have licensing agreements and distributors for our nozzles worldwide. HEI is committed to expert service to its customers because we understand the importance of on-time performance, promise dates, and production costs. When you work with us, you form a team or partnership that is concerned about your business. Once you have reviewed your field of interest, please let us assist you in your requirements.